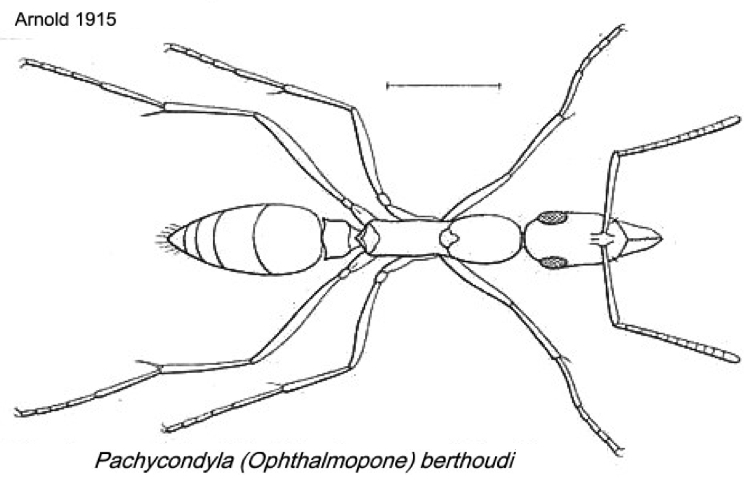 Worker and male only described . 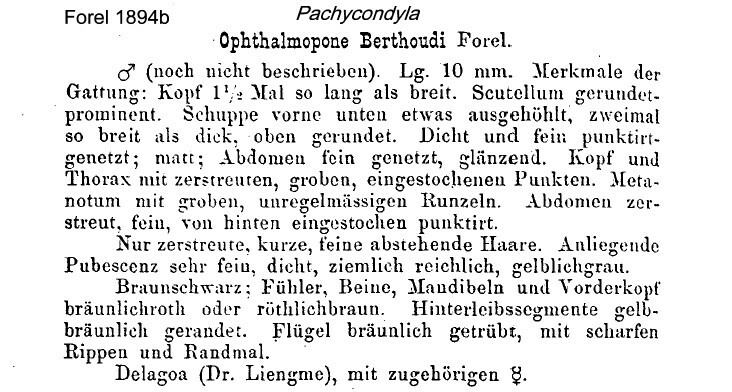 Forel's (1890b) description is at . 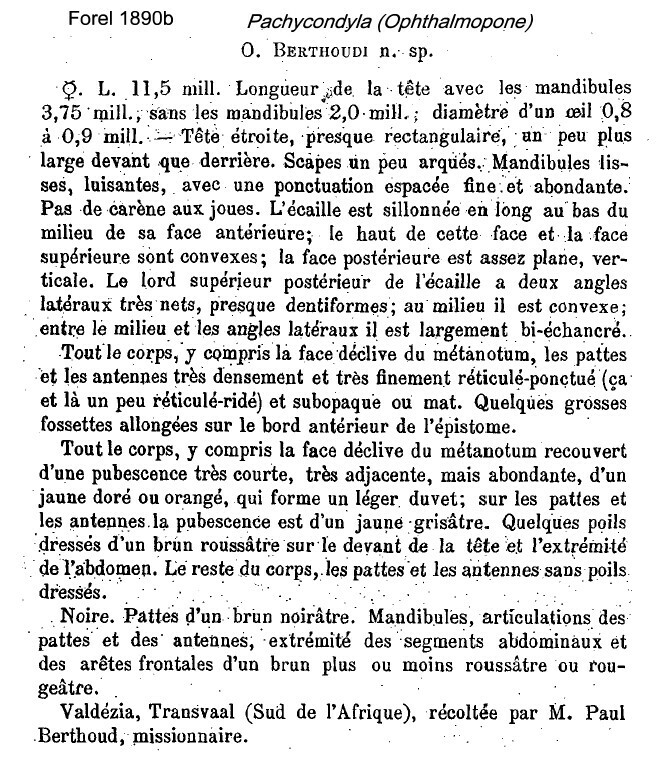 Forel's (1894b) description of the male is at . Arnold (1915: 50) gave a translation and fuller, illustrated, description; this is at and (male) . 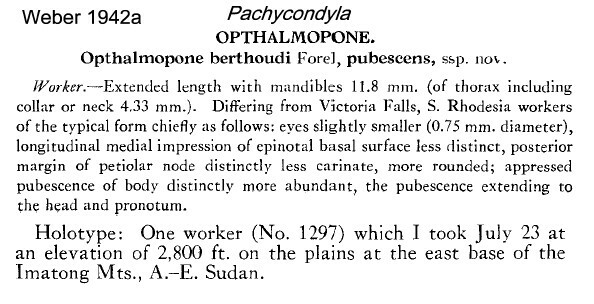 Weber's (1942a) description of pubescens is at . 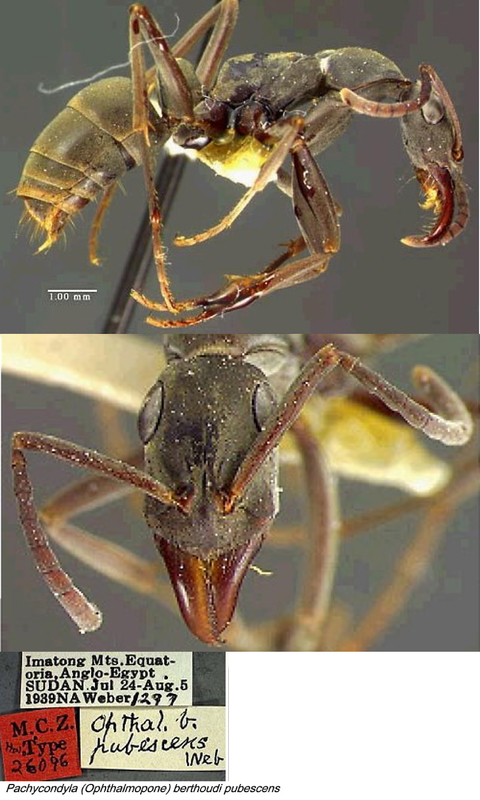 The photomontage of the type worker is collated from - http://www.antweb.org/specimen.do?name=casent0907233. Collection Information: Specimen Code SAM-HYM-C007394A; Locality South Africa: Transvaal: Kruger National Park; Kruger National Park, Block N51; 22�'00"S 031�'00"E; Collection codes: SAM-HYM-C007394; Date: 11 May 1964; Collected by: J.J.Cillie.